Do You Know Muhly Grass? It’s Beautiful ! Muhly grass is a type of ornamental grass indigenous to North America. It is named after Gotthilf Heinrich Ernst Muhlenberg, the American amateur botanist. There are many varieties of this grass with the pink or purple variety being the most popular in ornamental gardens. The delicate, bellowing pink blooms of the Muhly grass appear during the late summer and last until the winter frost. It is quite easy to grow this low maintenance grass in your garden and they will add infinitely to the beauty of the place. This article discusses how you can grow and care for the pink muhly grass. Here you will find all the information you need to grow and care for the pink muhly or purple muhly grass. Soil: The decorative grass species can tolerate almost all types of soils including poor and sandy soils. 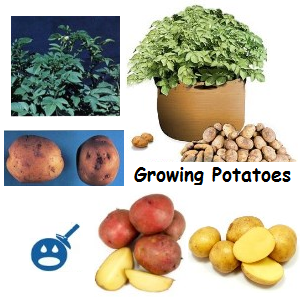 So, you can grow it almost anywhere. But, fertile, organic, well drained soil is the best option for growing muhly grass if you want them to grow as tall and beautiful as they can. Mix plenty of organic matter to sandy soil to prepare it for growing this grass. To amend heavy clay soil, you need to mix generous amounts of coarse sand and organic matter into them. You should also mix about 2 pounds of some slow release 12- 6- 6 fertilizer to the soil to allow the ornamental grass to grow properly. Soil pH Levels: The ideal soil pH level for muhly grass ranges between 5.5 and 6.8. Sunlight: The pink muhly grasses require 6 to 8 hours of sunlight to grow properly. 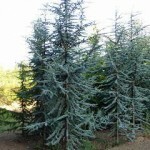 They prefer direct sunlight, but can also grow in partial shade. How to Grow the Pink Muhly Grass? 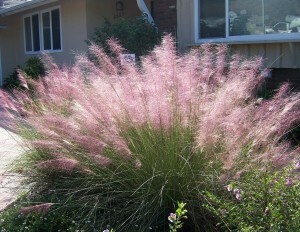 The pink muhly grass can be grown both from seeds and small plants. Use a high quality soilless mix for sowing the pink muhly grass seeds. Although regular seed starting mixes or potting soil can be used for this purpose it is advisable to use higher quality mixes to prevent fungal pathogens from attacking the seeds and seedlings. You need to water the planting mix regularly to keep it moist for germination. Once the seed sowing is done, you need to place the container in the refrigerator after covering it with a plastic sheet. You can also keep the container outdoors if the average temperature remains between 24°F and 39°F. The seeds have to be kept in this temperature range for twelve weeks. Remove the plastic cover from the container after twelve weeks and place it on a heat pad with the temperature set at 68°F. The pink muhly seeds also need bright yet indirect sunlight. The seeds will germinate within 2 weeks. After germination, plant the seedlings in well-fertilized soil and take care of them like you would when growing small pink muhly plants. First, you need to dig a hole around ten inches deep to plant the small pink muhly grass plant. The width of the hole should be two times that of the plant’s root ball. Make sure to clear out any debris, rocks and weed roots from the soil before planting. Next, gently take the small plant out of its container and place it in the hole. Fill the hole back with the soil you dug out and fertilize the plants lightly with some slow release fertilizer before watering them thoroughly to allow the root ball to set. Watering also helps to remove air pockets around the root and allows the fertilizer to reach the root system. When planting more than one plant, make sure to keep them at least 24-30 inches apart from each other. It is advisable to plant them in groups of three or more to produce a stunning visual effect when they bloom. You should water the grass thoroughly every day for a few days after planting to enable the root system to establish properly. Make sure to keep the soil around the grass moist all the time. During dry seasons, add plenty of mulch to the soil around the grass as this helps it to retain the moisture. You do not have to fertilize the pink muhly any more before mid-summer when you have to apply a light fertilizer to the grass. This grass has high resistance against diseases and pests. 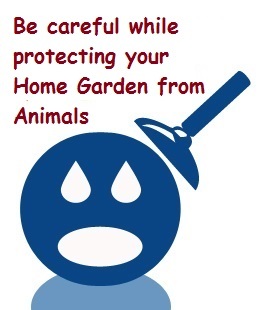 However, it is advisable to consult an expert if you suspect any pest or disease.